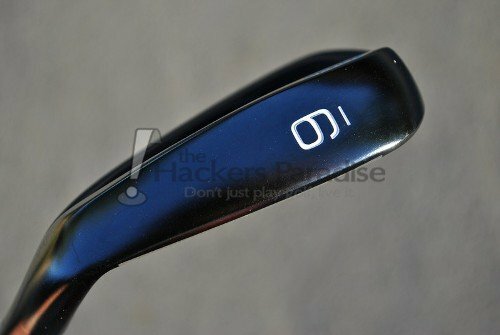 Typically for golfers, when the words “Mizuno” and “irons” are mentioned together in the same breath it brings to mind a couple of things. First, “Grain Flow Forging” and the adamant backing that it has by many amateur golfers. Second, classic and clean designs finished off with the trademark Mizuno chrome finish. 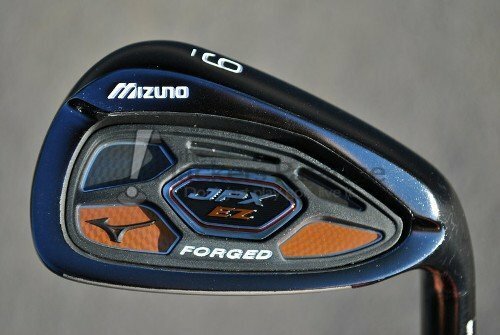 Well, with the release of the new Mizuno JPX EZ-Forged irons, the “GrainFlow Forging” is intact, but the classic design is where things change. 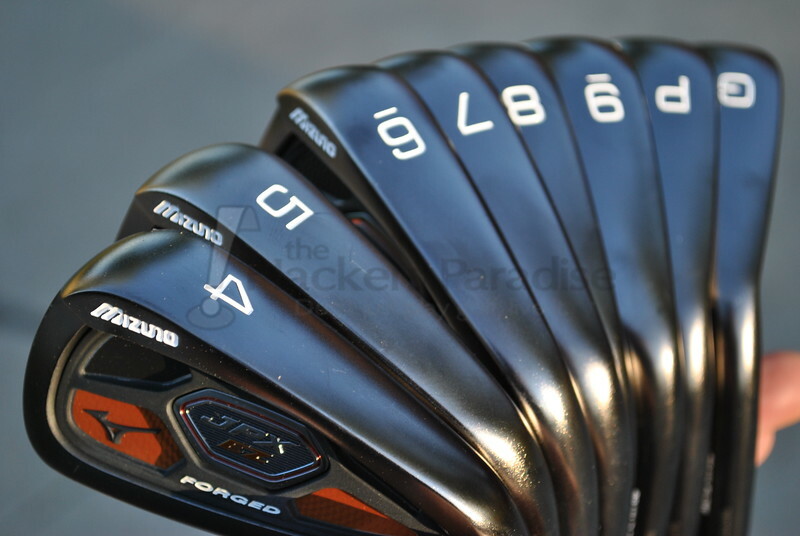 The JPX EZ-Forged irons, with their dark black-nickel finish, look unlike anything we have seen from Mizuno before. Meant to bridge the gap between game-improvement and forged irons, the company definitely believes they have something special on their hands. For the purpose of this review, THP was sent a 4-GW set of Mizuno JPX EZ-Forged irons paired with the True-Temper XP 105 S300 shafts. Stay aggressive and go for the pins – with the added solid feel of a Grain Flow Forged clubhead. 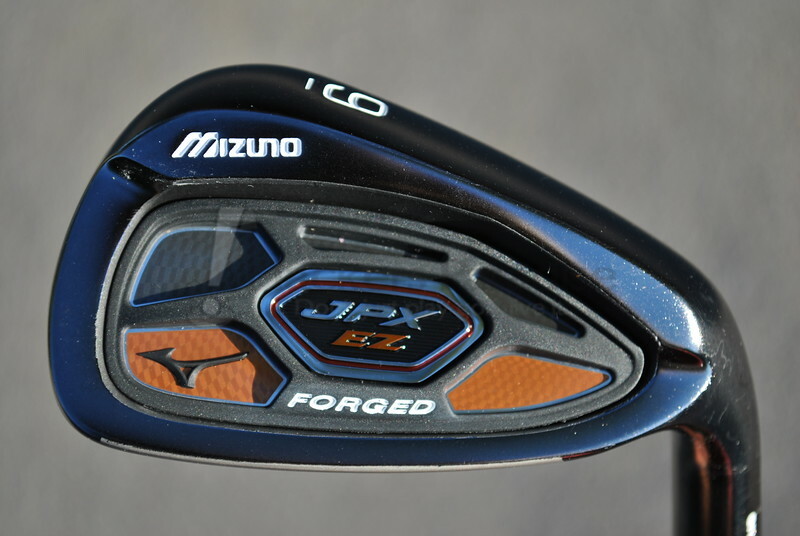 The JPX EZ Forged delivers explosive distance, and the same effortless flight and tight dispersion of the JPX EZ series, but with the soft, solid feel of Mizuno’s exclusive Grain Flow Forging process. Attack the course. Feel impact like nothing you’ve ever experienced. Grain Flow Forged: From a single 1025E Pure Select mild carbon steel billet for unmatched feel. Max undercut design (4-7): For a larger, high energy rebound area. 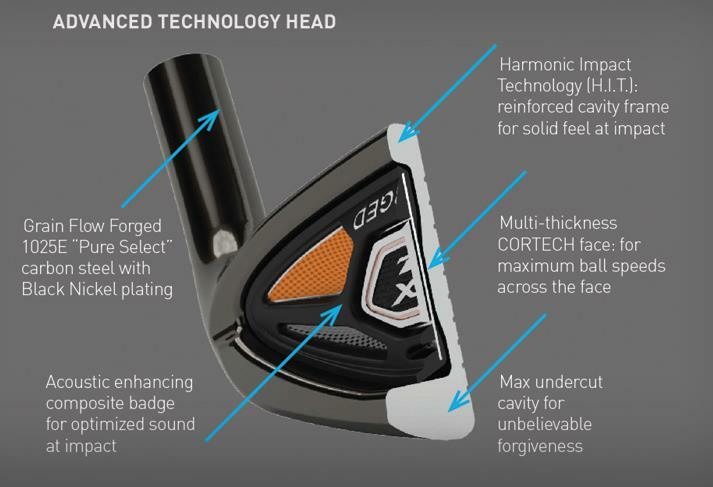 Multi thickness face: For maximum ball speed in a forged iron. Harmonic Impact Technology (H.I.T): Feel and sound tuned through cavity frame design. Custom Set Make Ups: Available in mixed/combo sets or with JPX FLI-HI long iron alternatives. The most noticeable design characteristic of the JPX EZ-Forged is definitely the dark PVD finish that the irons feature. Suffice to say, in hand this is actually one of the best looking dark finishes that has come out on any set of irons. The black-nickel finish itself actually has a slight matte quality to it, which during review seemed to help with glare as well as the actual wear. The fact is that dark finishes on irons and wedges will wear, but as we have seen in the past, some wear much quicker than others. After a significant amount of course and range time in sandy soils, the EZ-Forged did show wear with the finish becoming lighter on the soles, but in a very balanced and non-distracting manner. The fact that Mizuno went with orange in the cavity piece rather than their traditional “Mizuno Blue” was definitely talked about by many. However, in hand the orange finish works incredibly well with the subtle copper-like tones from the black-nickel finish of the heads, probably much more so than blue would have. Plus, these irons are a different direction for Mizuno as a whole, so a different color selection makes sense. 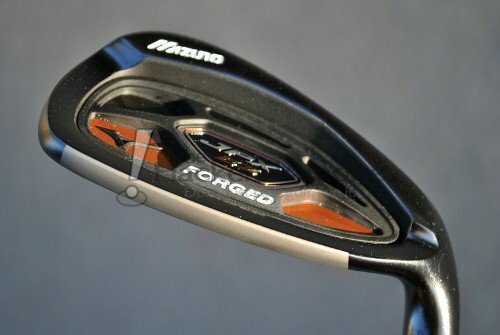 Mizuno has taken the CG of the EZ Forged irons and placed it lower in the head to produce what they refer to as “effortless flight”. Combined with a multi-thickness face intended to increase ball speeds throughout the set and the new True Temper XP 105 shafts, it is clear that creating an iron with the ability to get a higher trajectory was a major focus. As far as game-improvement irons go, a higher overall launch in order to increase the playability from the scoring irons all the way into the long irons is the ultimate goal of many. After extended time with the set, Mizuno definitely achieved their goals of a high launching iron. From the Gap Wedge all the way down to the 4-iron elevating the ball from any lie was never an issue. That ability to get the ball up into the air consistently with the long irons also meant the ability to hold the green with them, something that a lot of amateurs really tend to struggle with that portion of an iron set. Being that high launch is such a focus within the set design, the ability to manipulate the ball flight based on the given situation and environment is equally important. The EZ Forged were responsive to flighting the ball both through swing and ball position itself. It is worth noting however that flighting was still higher than with comparable iron sets. Nothing overly drastic, but definitely still higher than what might be expected at times. 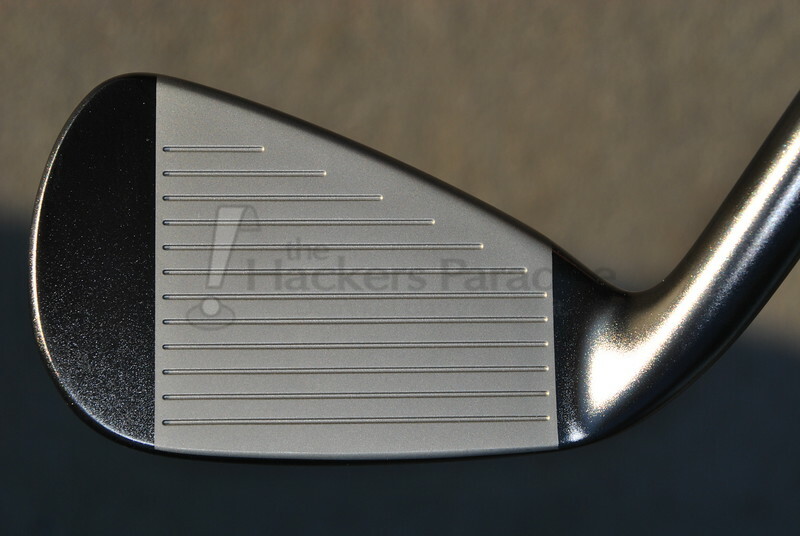 This is an area with the EZ Forged irons that was perhaps the most intriguing. The set features stronger lofts than we traditionally see from Mizuno, which instantly leads to assumptions about distance. Interestingly enough however, the distances seen were not as long as expected going into testing. In fact, compared head to head with weaker lofted designs, the EZ Forged were no longer and at times a touch shorter on full swings through the set. Instant reaction may be that the high launch must be ballooning, but the flight actually maintains a constant ascent to its apex and possesses a nice angle of descent into the green. It is most definitely an interesting finding. Despite the overall distances, the gapping was constant throughout. Even with the “max-undercut” that Mizuno has applied into the design of the 4-7 irons there are no uneven gaps from club to club. 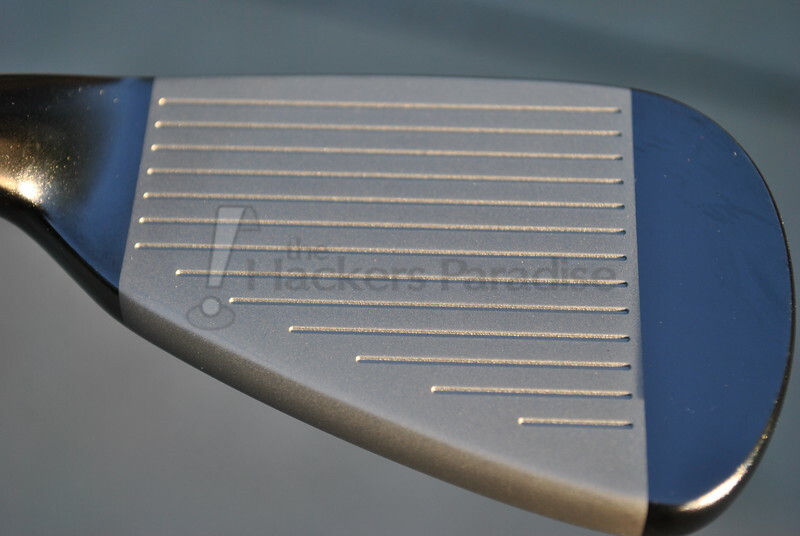 Clearly this is always one of the most important factors when it comes to irons and the EZ Forged are solid here. On course, the EZ Forged proved to be a balanced iron as far as it pertains to overall forgiveness. While giving plenty of feedback as to where contact was being made though impact, the irons also provide forgiveness right in line with other irons of the same category that are on the market. Off the toe as well as high and low on the face, the EZ’s are exactly what one would expect, keeping the ball on a decent line while not losing all distance. Low off of the club face did seem to suffer more compared to the other misses, but nothing out of line for most irons we have seen. The EZ Forged utilize Mizuno’s trademark “Grain-Flow Forging”, as each head is milled from 1025E Carbon Steel to create what Mizuno calls a “soft, solid feel”. In addition to the material, Mizuno also addressed the fact that the design of the cavity itself impacts the feel through sound with application of “Harmonic Impact Technology”, the cavity frame design. The argument of forged versus cast can go on forever, but in the end the only thing that matters is how the user processes the sound/feel feedback that they are being given. At impact the EZ Forged are very impressive, as they give off an incredibly rich and plush sound that leads to a pleasing feel with each well struck golf ball. Beyond well struck shots, the feedback across the face is enough that you know where contact is occurring, Mizuno definitely delivered in this area, just as many have come to expect. With the EZ Forged irons Mizuno sought to create the ultimate blend in forged beauty and all around game-improvement function. The result is something that is aesthetically different from “traditional” Mizuno, yet at the same time very pleasing. These irons will never be mistaken for their MP series counterparts, but they bring a unique blend of a little bit of everything into the line that Mizuno was missing. From a performance perspective the EZ’s provide solid forgiveness with a high ball flight that will allow many amateurs the ability to get every iron in the set airborne with a chance to attack the green. Despite some distance discrepancies in relation to the stronger lofts than we usually see from Mizuno and higher launch, the EZ’s are still an interesting overall package. If nothing less, it is a big step for Mizuno to providing a truly rounded lineup of iron options. 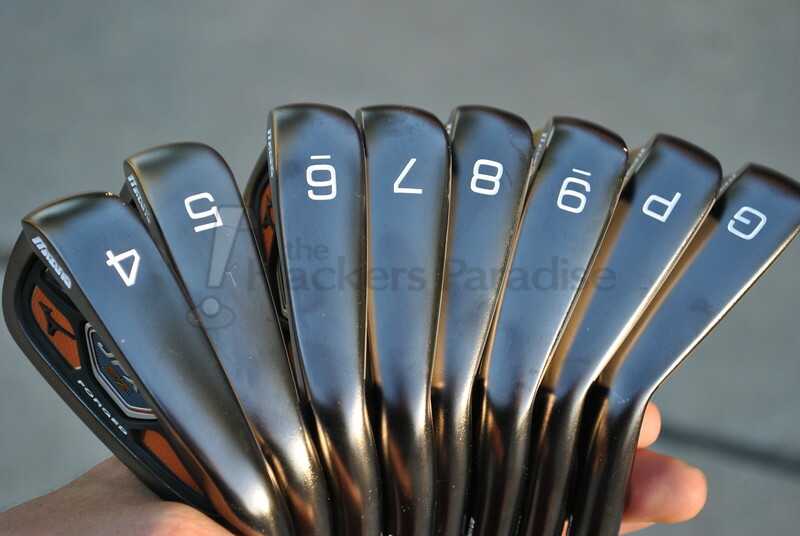 The EZ Forged irons have an MSRP of 899.99 for a 4-GW set. For more information be sure to check out Mizuno’s website at www.mizunousa.com. Absolutely fantastic review James. Seems like a lot of recent iron sets are dropping the CoG in the heads to produce easy, high flight. That finish is a thing of beauty and craftsmanship. Great review Jman. I really liked following along with this one. 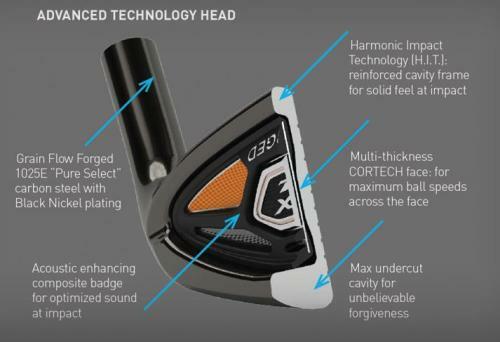 These sound like very solid clubs from Mizuno and I expected nothing less. I am actually fond of the look, even though it is quite different from their past offerings. I will be checking these out at the my local golf store soon. Yeah..that was a stone groove of a review. Seeing these in hand pics mixed with the review brought out the real look of the irons. High launch and forgiveness can serve everyone. Nice writeup, Jman. This sounds like a set that will appeal to a wide base of golfers. Thanks for the solid review on these James! I’m really digging the black nickel finish in these along with the stock shaft in that low 100’s range. I also like that Mizuno was not afraid to try another color in their club design because as you said, the orange looks really good in this head. This seems to be a solid offering between a players club and a game improvement club – kinda inline with something like the DPC’s so they really could work for a large gamut of golfers. Yet another set I want to spend time with. Great review James, and very helpful. These are on my short list to demo this year. Great review James. Love the black finish. I think these would really really help my game but sadly they are RH only. Really well done review though. A ton of really good and insightful info. Good work on this one James. Interesting stuff. Hearing some parallels to what I and many others have been discussing about the 54’s in terms of high launch and shorter distance. More surprising coming from this set than something from the MP line. I agree James, these are the best looking dark finishing irons I’ve seen out there so far. Not a big fan of the dark finish in my iron set but these do look nice. Thanks for the input and I’m sure this will help someone make a good and educated decision if they are pondering a purchase of these. p.s. Like the orange touch on the back too. Hook ’em! Ha! Great review again! While I can understand why everyone seems to love Mizuno, to me those are some ugly irons. But if they make someone a better golfer who cares what they look like?! Great review JMan. Those are really solid sounding irons. Not totally sold on the looks, but they aren’t the worst I’ve ever seen. Thanks for the work on the review! Quality review James for a quality product from Mizuno. I believe I can feel the contact of these new clubs without even hitting them after reading your review. Ha! I like the extra forgiveness but I’m not sure about the amount of cavity in these clubs. I already hit the ball a little higher than average so these may not be the best fit for me. The club heads actually look a little longer than what I consider normal. This is based on the first picture where the soles of the clubs are shown. These new clubs from Mizuno are a true break from there historical classic looking clubs. I hope they do well with it. Great review James and well written! These look to be a great addition to the many GI iron sets out there. I usually don’t need assistance to get the ball high with an iron, but these could be really nice. Well done…well done indeed. Amazed at how you find the time to do such an outstanding job with these reviews! Keep on keepin on! Seems like you would make a fine educational leader? I currently play the JPX 800 with KBS Tour Stiff shaft and demo’d a 6 iron EZ Forged with the same shaft and it felt fantastic. Going to order a set in New Year. Great review! I was told by a local rep that the orange color scheme was chosen because this color is on the opposite side of the color spectrum from blue. This represents a change in thinking with the new game improvement products Mizuno is now offering compared with products of past only geared for lower handicaps. just bought these last week. upgraded from cobra amp, world of difference. feel like I am throwing darts with the short irons , and the long irons have some easy distance. lower flight then the cobra’s, which is what I was looking for, those cobra’s were like balloons. I obviously do not care about the color, coming from cobra, but who cares what the back looks like? I can’t see the back of the club at address, so it does not bother me at all. the feel is awesome too. best purchase I have made in a while.